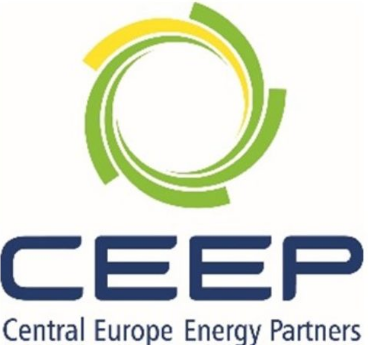 Central Europe Energy Partners (CEEP) welcomes the recently adopted by the European Commission strategy: “A Clean Planet for All. A European Strategic Long-Term Vision for a Prosperous, Modern, Competitive and Climate Neutral Economy”. One of the key factors facilitating investments in energy and energy-intensive assets is predictability and regulatory stability. Presentation of different decarbonisation pathways provides investors with guidelines and reference points influencing their future decisions. Taking into account that investment decisions which will build the economy of 2050 will be undertaken in the coming years, this is the proper moment to publish this document. In the last two decades, the EU has achieved tremendous progress in reducing its impact on climate and environment. Between 1990 and 2016, energy use was reduced by almost 2%, greenhouse gas emissions by 22% while GDP grew by 54%. It proves that the EU was able to decouple economic growth with an increase of energy consumption. The share of renewable energy in final energy consumption increased from 9% in 2005 to 17% in 2017. Moreover, between 1990 and 2015, Energy-intensive industries reduced their greenhouse gas emissions by 36%. Overall, energy intensity declined by 39% across all industrial sectors together. These data convincingly show that the EU has already started the process of decarbonization of its economy. The EU has committed to at least 40% emissions reduction below 1990 level by 2030 and set ambitious legislation targets in other fields. Notably, is enshrined in binding legislation, the improvement of energy efficiency by at least 32.5% and an increase of renewable energy to at least 32% of the EU's final energy consumption by 2030 in reference to 1990 values. Moreover, a reform of the EU emissions trading system (ETS) was finalized and resulted in significant increase of prices of CO2 allowances. It is already a high level of ambitions, surpassing efforts of other major economies. Currently, the EU is responsible approximately for 10% of global greenhouse gas emissions. Taking into account long-term IEA World Energy Outlook, in the global perspective the EU’s share of energy consumption will steadily decrease, being replaced primarily by energy demand of developing economies of Asia. In any case – even more ambitious approach within the EU will not be sufficient to meet Paris Agreement goals without coordinated global efforts to cut emissions which will be supported by all major economies including China or India. CEEP would like to also emphasize the importance of technology neutrality for the development of energy systems. Decarbonization of the economy can be achieved by the combined use of different technological solutions and means including renewables, biomass, hydrogen, nuclear, clean coal technologies, CCS/CCU or carbon sink. The support for R&D should be prioritized in order to develop and commercialize innovations which will facilitate the transition. In this regard role of legislator would not be to pick winners and support only certain technologies. At the same time, it should be acknowledged the importance of a socially-just transition. Only this way it is possible to engage citizens and receive political support necessary for implementing it. Therefore, we support the EU’s initiative Coal Regionsin Transition and call for the additional funding in the new Multiannual Financial Framework (MFF), including the establishment of special dedicated fund, backing such a transition. The responsible approach to energy transition requires also the development of measures within industrial policy supporting competitiveness and adaptation of the European energy-intensive industry. Energy transition has to be implemented in a highly competitive international environment where offshoring of work and carbon leakage are real problems. They must be addressed by combinations of political and economic tools including appropriate trade policy. The successful long-term decarbonization depends upon sustained collaboration over decades between industry, investors, governments, and citizens. Economically and socially just transition assumes that a variety of interests should be taken into account and reconciled. The EU’s role as the responsible leader of the energy transitionon the global scene assumes that the adopted proposals, strategies and solutions should be affordable, attractive and followed by others global players. We hope that the package of rules adopted in Katowice during COP 24 will help to achieve these goals.